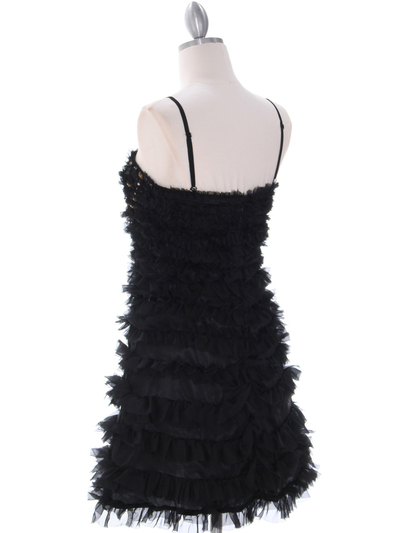 This black cocktail dress features spaghetti dress with simple neckline. Jewels and sequins adorn the bodice. Ruffled trim details the skirt. By Black.